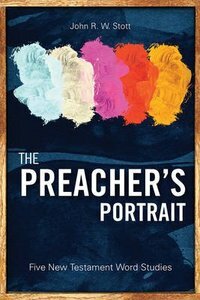 In this updated version of The Preacher's Portrait John Stott presents a portrait of the ideal preacher; a portrait painted by the hand of God himself on the broad canvas of the New Testament. Through studying five roles of a preacher - steward, herald, witness, father, and servant - Stott illustrates God's ideal for a preacher's character, message and purpose. About "The Preacher's Portrait: Five New Testament Word Studies"